Lawrence Acker has extensive experience representing natural gas and electric power industry participants in regulatory, commercial, and transactional matters, including infrastructure development, in proceedings before the Federal Energy Regulatory Commission (FERC), in civil litigation, and in related appeals. 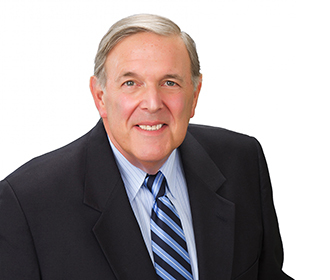 Larry works closely with company counsel and senior executives, as well as experts in related fields of law and other disciplines. He frequently manages the work of groups of lawyers in complex matters. He has also conducted live, video and webcast seminars within the U.S. and abroad on sources of regulatory and litigation exposure, market manipulation, enforcement and compliance matters, LNG projects and other infrastructure development. Argument in Ninth Circuit in Idaho Power Co, v. FERC, 801 F.3d 1055 (2015). Acting as regulatory counsel in civil litigation in which FERC issues are present. Larry’s work encompasses natural gas, electric, and hydropower matters. He was lead rate and tariff counsel for the Panhandle Eastern family of interstate pipelines, an active participant in the development of LNG terminals for a variety of companies and investors, regulatory counsel in the multi-party Louisiana coastal wetlands civil litigation against the oil and gas industry, and currently serves as lead FERC counsel for the Hells Canyon hydropower project. He also was lead counsel for more than four years for the power marketers in FERC's California refund proceedings, and related appeals, including presenting oral argument before the Ninth and D.C. Circuits; and he was in the leadership group of the Marketers in FERC's Pacific Northwest refund proceedings, including arguments challenging FERC before the Ninth Circuit, resulting in the remand of FERC’s Orders. He represented the California ISO in connection with prominent market manipulation matters and to block interference with the ISO’s efforts to prevent load shedding during summer peak periods in Southern California. Presenter, "Challenges to Infrastructure Development"